How Do You Know This Website & Its Services Are Trustworthy? I got to be something of an expert in shopping for residential solar by first doing it for my own home, then for other people's. In the process, I thoroughly researched the technical and financial aspects of acquiring solar. Relying on my degree in math and my extensive finance background, I developed some original mathematical models and algorithms to calculate all the things about solar that affect SCE customers. Then I was asked to consult for the solar industry. Through this experience, I discovered many of the things about solar that are kept from the public. I also advocated before the California Public Utilities Commission on behalf of solar owners, preventing some rate and policy changes that would have harmed them. This year, I have also taught hundreds of local realtors about solar and how they can help their clients who are buying or selling a house with existing solar. I now offer a special service for realtors and such buyers and sellers, called the Solar Evaluation Service for Realtors, Buyers & Sellers. Thanks again for putting the information out there for consumers like yours truly. Much appreciated. My wife and I are looking for a new home in the Santa Clarita Valley. Many of the homes we like have solar panels already installed. Trying to figure out whether these solar systems are a good deal has proven to be very difficult. 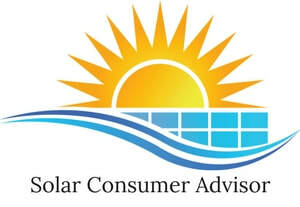 Solar Consumer Advisor has been a valuable ally. Your honest and accurate expertise has prevented us from getting mixed up in some poorly conceived solar systems and contracts.